Daily Illuminator: Can't Stop The Truck Stop! 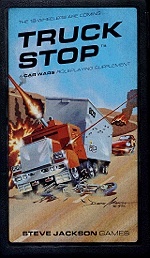 October 15, 2013: Can't Stop The Truck Stop! What are you waiting for? Visit the Truck Stop; they've got donuts -- and danger!